I got an ARC of this YA book that comes out in June and it is excellent from start to finish. I couldn't put it down and sobbed for the last 20 pages, that kind of happy poignant sobbing. A really moving novel. Have passed it to my kids now. They will devour it. 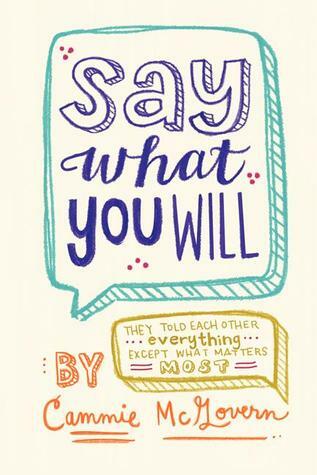 Sign into Goodreads to see if any of your friends have read Say What You Will.